This angle adjust handrail saddle is ideal for perfect positioning of flat profile handrail on inclines and stairs. 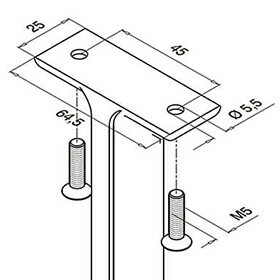 To Fit into 60mm x 30mm profile stainless steel post. High strength Adhesive required for installation. 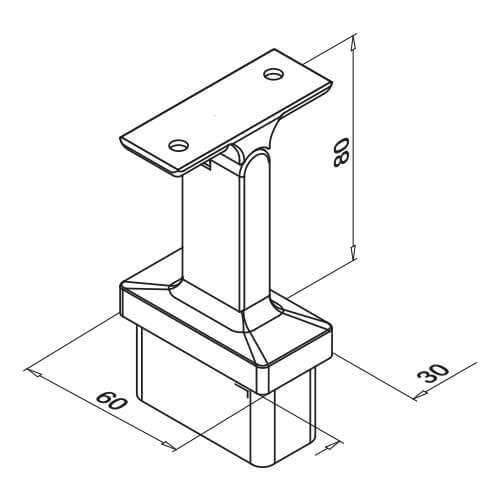 Hex Head Key maybe required for installation, dependent on your choice of handrail fittings. 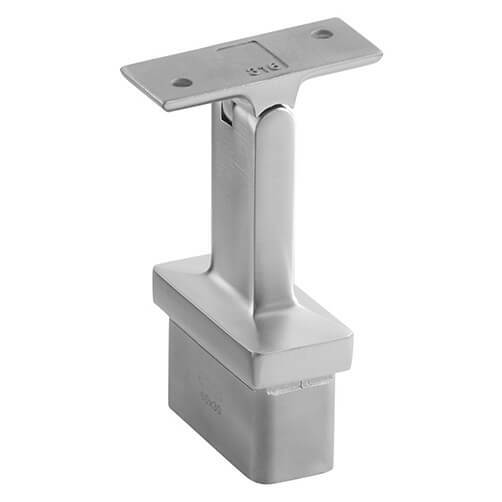 Handrail saddle with tilt adjust flat mount is designed for secure fixing into 60x30 Square Line balustrade posts. Suitable for both indoor and outdoor applications, with high quality 316 marine grade stainless steel construction. Quick and easy installation, simply apply a high strength stainless steel adhesive and insert into post. Once the glue has set you can attach your chosen handrail. We recommend using M5x20 countersunk hex head screws to screw flat profile stainless steel handrail. Stainless steel M5x20 Countersunk Hex Head Screws. Hex Head Key sets for smooth installation.